I don’t often buy glossy magazine’s these days, but there’s always something about the big September issues of fashion magazines that still manages to tempt me into making a purchase. 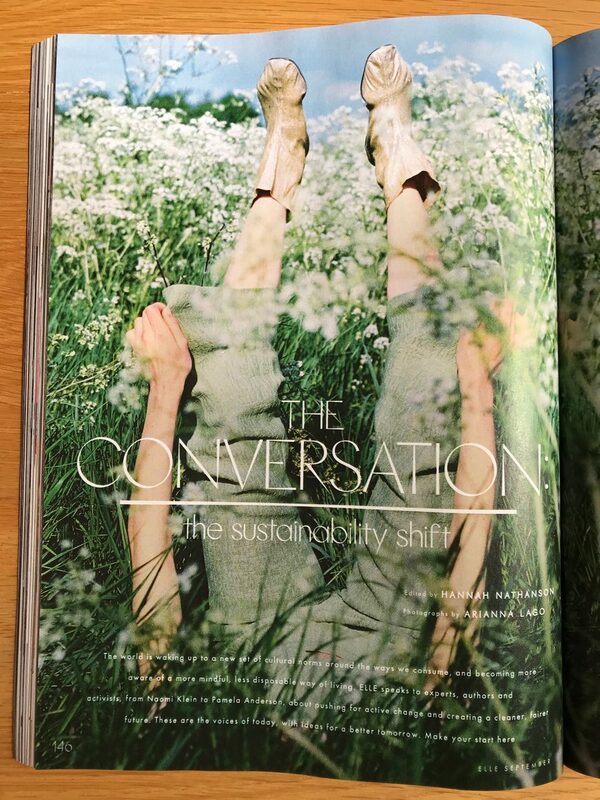 This year it was Elle UK‘s commitment to sustainability in the September issue that had me hooked. In her Editor’s Letter, Anne-Marie Curtis notes that she has made changes to the way she shops and points out that, although it’s not a 100% sustainable magazine, they are discussing a great many key topics and have made changes to the way they work as a magazine (including using recycled paper, but it’s not clear if that is a permanent change). It’s mostly business as usual but with a few tweaks to content in order to go with the theme, which is much better than shoehorning sustainable angles into every single article even when it doesn’t fit! 10 Things to do This Month shows how you can embrace sustainability and still have fun. 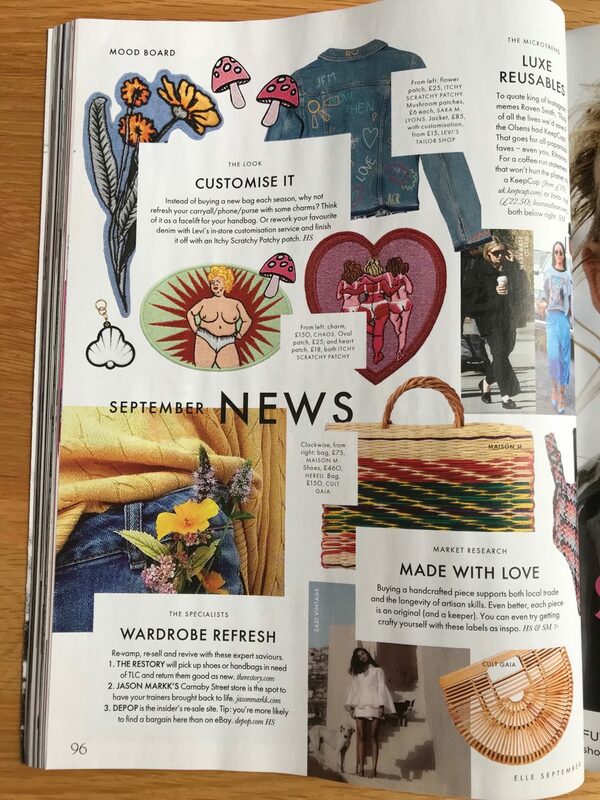 The news page covers customisation, ‘revamp, re-sell and revive’, hand crafted accessories, stylish reusable totes, animal-free accessories, a handful of ethical brands, plus the fact that celebs papped with their coffee never have a reusable cup. I enjoyed reading the profile of designer Marine Serre who has used repurposed fabrics for 30% of her AW18 collection, but says that she doesn’t use the word sustainability, preferring instead to think of it more ‘about inventing and rethinking production […] At the end of the day, I want to show you something you really desire’. I liked the fashion shoot which was made up of ‘forever pieces’ – encouraging readers to select investment pieces and look at buying to last – and also enjoyed the admission that some trends always crop up over and over again, so it’s actually possible to follow trends in a more sustainable way. However, this was in a piece on how to wear animal print and I was rather astonished that this needs a ‘how to…’! The interview with Stella McCartney was very insightful. She discusses luxury sustainable materials, the dress she created for Megan Markle (plus her wedding guests Amal Clooney and Oprah Winfrey), and how being brought up in a mindful responsible way has influenced her work as a designer. There’s a great article about how the future of sustainable fashion is available now, on a small scale, with a useful summary of fabrics and processes that are currently being developed. 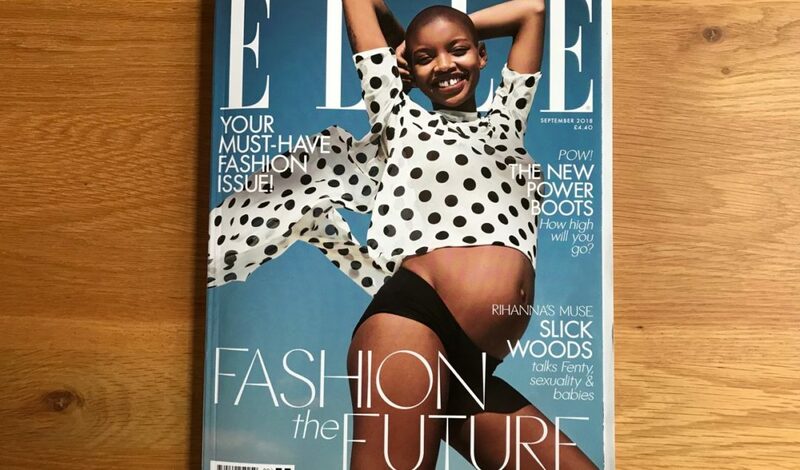 The interview with pregnant cover model Slick Woods is full of hope for the future, and Pandora Sykes writes about how influencers can become more conscious consumers. There’s a photo feature on the activists and designers you should know, fashion editorials featuring sustainable brands and vintage pieces, plus the beauty section focuses on sustainability too (inc eco glitter). Overall, this is a fun and accessible introduction to sustainable fashion which shows you lots of small easy changes that you can make to your shopping habits now. Hopefully it’s also the future of fashion magazines because I really would like to see more of this type of thing!